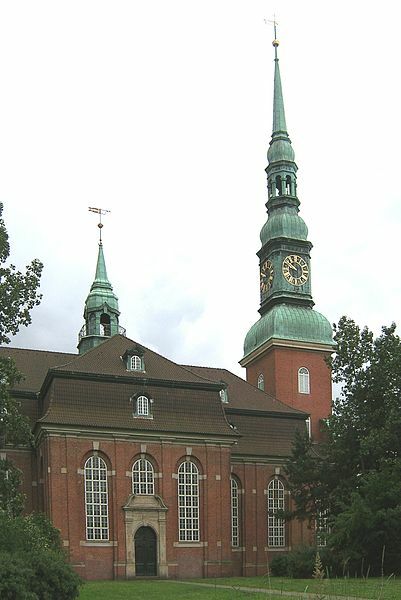 The Old Town of Altona is part of the district of Hamburg Altona. In the Middle Ages, Altona was one of the largest towns belonging to Denmark. A large part of the Old Town was destroyed during the Second World War, other parts were maintained or rebuilt. The narrow lanes of the Old Town still have the same charm as they had during the Weimar Republic. During a visit to Altona's Old Town, you should go on an excursion to August Lütgens Park, which is still full of its original, ancient trees. Billrothstraße is full of houses from last century. You should also indulge yourself with a visit to the baroque St. Trinitatis Church, which has been extensively restored. Altona Old Town is considered to be liberal and socially driven, and is probably one of the most desired residential areas in Hamburg. Altona advocates the rights of people of heterogeneous religions and remembers persecuted Jewish refugees. The Old Jewish Cemetery is a protected landmark and has been for a long time, and should by all means be a stop on your itinerary. In addition to this, in the Old Town there are many theatres with comprehensive schedules, just waiting for your visit. During your trip to the Altona Old Town, you should also make sure that you visit the Köhlbrandtreppe, which connects the lower and upper parts of Altona.